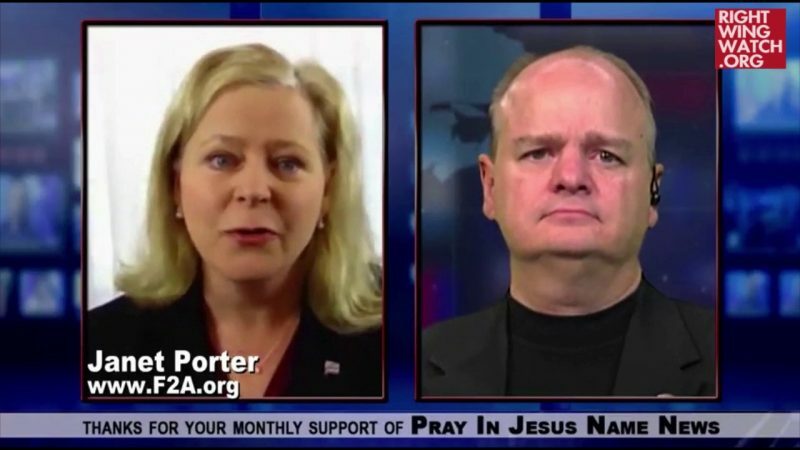 Ohio-based Religious Right activist Janet Porter appeared on Gordon Klingenschmitt’s “Pray In Jesus Name” program this week to discuss Gov. John Kasich’s veto of her “heartbeat bill,” which would have banned abortion before many women are even aware that they are pregnant, and again reported that anti-choice members of Congress will soon introduce a federal version of her bill. 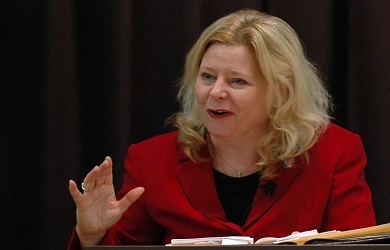 After announcing that she intends to sue over Kasich’s veto of her bill on the grounds that the manner in which it happened was unconstitutional, Porter reported that she will be heading to Washington, D.C., to attend President-elect Donald Trump’s inauguration where she will be meeting with several members of the House of Representatives about introducing a federal version of “heartbeat bill.” She said the bill will be introduced later this month, probably around January 22, which will be the 44th anniversary of Roe v. Wade. Porter has previously said that Republican Rep. Steve King of Iowa has agreed to introduce the bill. Porter’s bill would make it illegal to perform an abortion if a fetal heartbeat can be detected, which can happen as early as six weeks into pregnancy, possibly before the woman even knows that she is pregnant. But, as she explained to Klingenschmitt, the fetal heartbeat actually begins just 18 days after conception, which means that as technology improves, her bill will essentially outlaw all abortion.